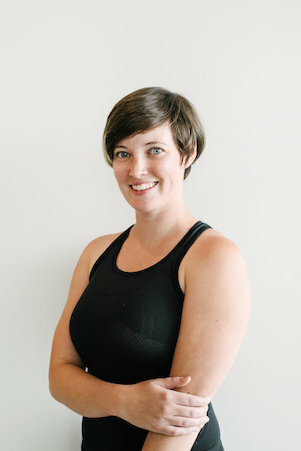 Chelsey has been teaching all levels Vinyasa yoga for nearly 5 years and practicing consistently since 2011. Chelsey was inspired to complete her 200 Hour Teacher Training by Fort Collins local teacher Gwyn Tash and has studied with local Fort Collins teachers Sarada Erickson and Jason ShivaJi Erickson. 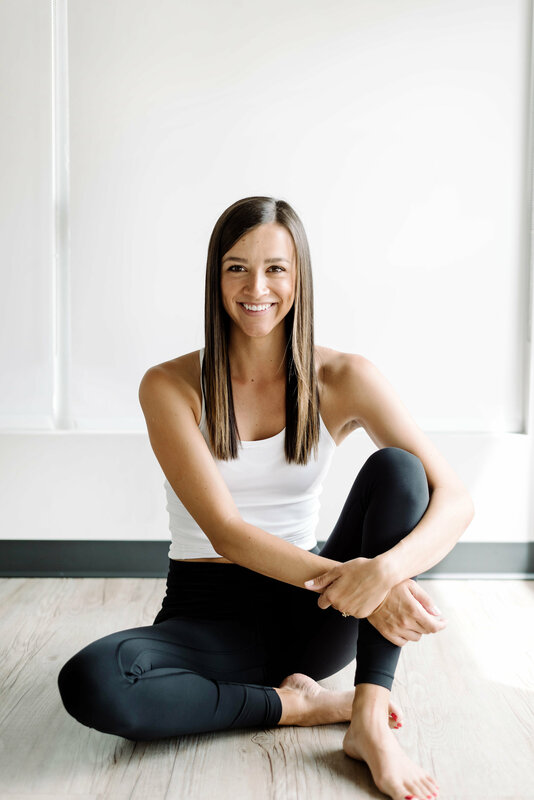 Not only is she inspired by local teachers in the Fort Collins area, master yogis such as Jason Crandell, Gina Caputo, Kathryn Budig, and more, constantly impact her teaching and personal practice as well. 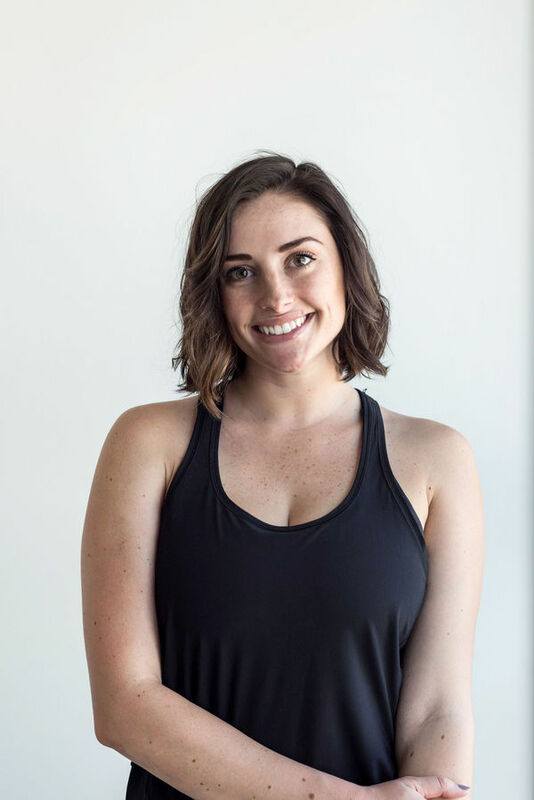 As the Fort Collins community is a hub for incredible yoga teachers, Chelsey wanted to take her education further and in December of 2018 completed her 300 hour teacher training making her a 500 Certified Teacher. You can expect Chelsey's classes to be creative, strength building, and purposeful! While incorporating awareness, breath, and a little mantra you'll be challenged through a progressive and intelligent practice. Be ready to sweat a lot, laugh a little, and maybe even find an emotional connection to the rhythm of the music. When Chelsey isn't in the studio, she is outside with her family, volunteering, creating art, working on her home, and/or traveling the world. Chrissy is a Colorado native who discovered yoga in 2008 after moving back to Colorado after living in Portland, Oregon for 6 years. Chrissy tried different types of yoga while living in Portland but none of the styles really stuck with her. Chrissy tried many styles, but after taking a "power vinyasa yoga class” she was hooked! She felt very disconnected from her body after having 3 babies & she was ready to find herself again. Chrissy was hooked solely on the physical aspect of yoga at first and then started to notice the mental and spiritual side as well. As a mom there wasn't any peace or quiet in her day- the yoga studio provided that sense of both connection to herself, quieting her mind and feeling certification good about her workout. Chrissy earned her 200 hour power yoga training in 2011, followed by multiple small trainings, workshops, pre-natal yoga certification in 2012 & Yin yoga intensive in 2017. 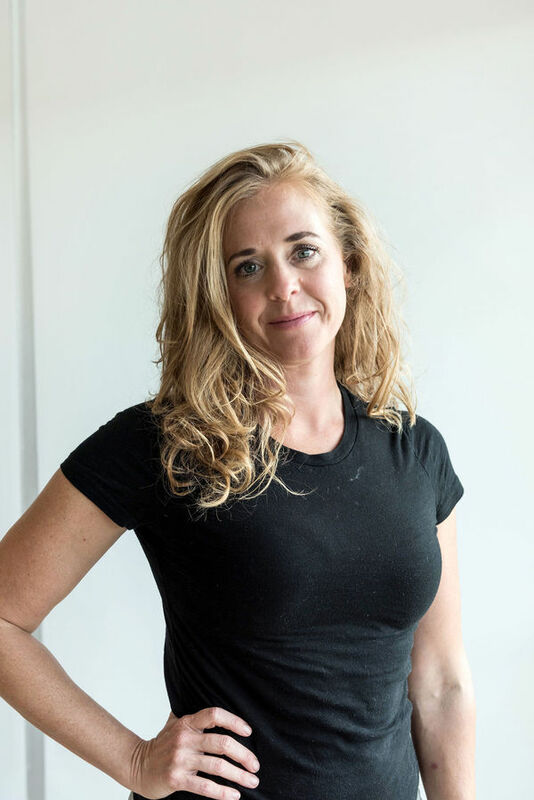 She primarily teaches heated power vinyasa classes that are fun yet challenging incorporating both a flow and long holds. Her favorite things about teaching include playing fun upbeat music, alignment and inspirational themes to connect with her students. 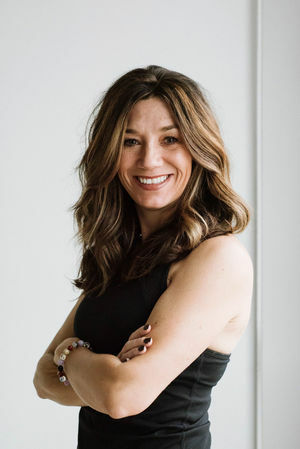 Chrissy likes to grab inspiration and ideas from Yoga Journal magazine, various well known teachers such as: Tara Stiles, Jason Crandall, Desiree Rumbaugh & Kino MacGregor. As well as local teachers in Fort Collins and the surrounding areas. When she is not teaching yoga you will find her at the nearest coffee shop, taking a yoga class, spending time with family, or doing her full time job– as a realtor at C3 Real Estate Solutions. 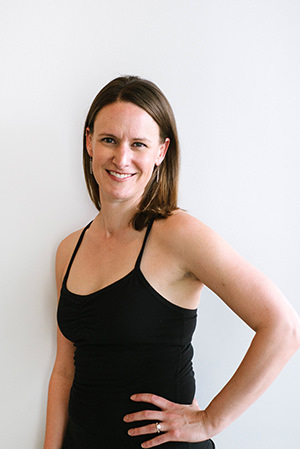 Coming from a long line of K-12 teachers, Erin first began practicing yoga in 2004 as a way to find balance after her day job teaching high school French and AP Art History. 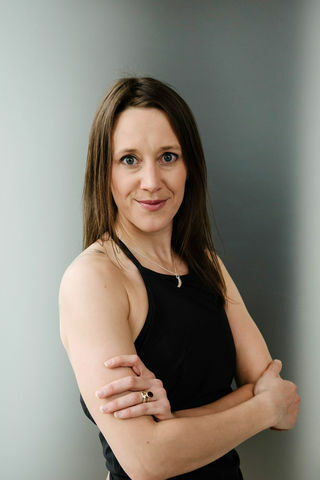 Erin’s vinyasa classes are infused with a strong alignment focus and a holistic view, speaking not just to the physical but to the energetic body as well. With a “yoga mutt” background that includes Iyengar, Bikram, Ashtanga, Yin and Anusara, Erin’s primary practice is Baptiste-style Power Vinyasa. When she’s not teaching, you can find Erin with her husband, son, and dog, traveling, reading, running or just enjoying gorgeous Colorado! Although she didn’t yet know it, Kim’s yoga journey began when she took her first Tae-Kwon Do class at the age of seven. She became a Tae-Kwon Do instructor at eleven, and quickly discovered her love of teaching. After well over a decade of practice, Kim had gained both mental discipline and physical awareness that helped her when she stepped into her first yoga class in 2010. In that class she discovered a sense of freedom in simply being with herself and actively setting aside the stresses of life, and she’s been practicing yoga regularly ever since. In 2013, Kim decided to combine her love of yoga with her love of teaching, and finished her 200 Hour Teacher Training that March at Elan Yoga and Fitness. In 2015 she moved to Auckland, New Zealand to pursue her Masters of Fine Arts. There she fortuitously found a wonderful yoga community, and decided to get her 500 Hour Teacher Training Certificate with Jayayoga in 2016. Although Kim loved her time in Auckland, she’s excited to be back teaching yoga in her home town of Fort Collins, CO. Through yoga Kim has found a love and acceptance for herself, and she is passionate about helping others realize their own wholeness. Kim encourages each student to tune in to their personal experience and invite whatever they need into their practice, finding a balance between effort and ease in each posture. Her classes are designed to empower each student at every step of their own journey. Kim has been practicing yoga since 2006, however it took years before her intentions, her thoughts, and her actions aligned with her practice. The shift came through letting go of expectation. She began to trust and love the process, rather than grasping at results, and found she was able to arrive at her practice with a presence unfelt before. Now her yoga practice is an integrated part of her daily life, though it is always changing, growing, and shifting with her. 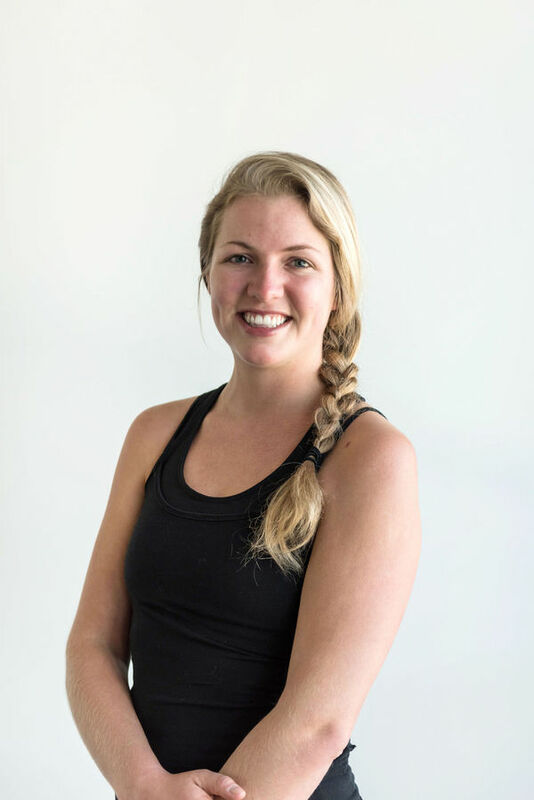 Kim competed her 200-hour YTT in heated power yoga in the Spring of 2008 but remained a student until continuing her training and education through CorePower Yoga, completing their Hot Power Fusion Intensive and the Extensions program in 2015. As a teacher Kim creates space for students to explore their body, mind, and heart during their practice, understanding that we each show-up in a different capacity every time we arrive at our mats. Her intention is to guide students towards increased balance and awareness, both on their mats and off. She hopes her students leave class with a smile on their face and a little more kindness and love in their heart, for themselves and for others. 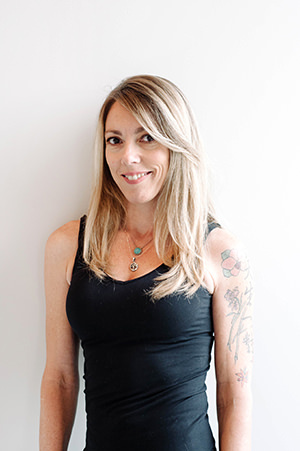 She is thrilled to be joining Meraki Yoga as an instructor and feels so grateful to have the opportunity to guide fellow yoga students through their practice. Kim’s passions outside the studio include outdoor adventures, biking Fort Collins trails, eating and cooking vegan food, creating art, and snuggling up with a good book. She and her husband Bill are also wild about their pets, and love road trips and hiking with their pup Adonis. studying movement and the human body through CSU’s Health and Exercise Science program. Kristen has deepened her yoga practice and discovered yoga with weights. and further her own practice. sculpt with Kristen Saturdays at 10:30am, she can’t wait to meet you! Libby is a Fort Collins native and CSU Alumni. She has a passion for maintaining the special sense of community she has come to know and love in her hometown. Community, together-ness, and a sense of belonging have always been of most importance to Libby. She believes that yoga is for everyBODY and wants the practice to be approachable and the classroom to be welcoming. Libby’s days are spent traversing between small business owner, yoga teacher, and bonus mom. 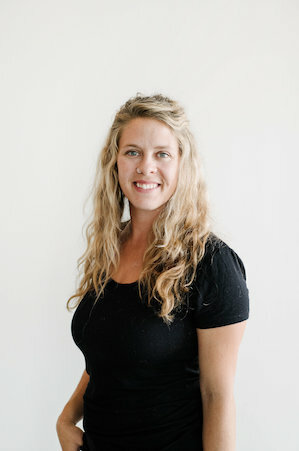 Libby has been teaching for 10 years and finds the most joy in teaching vinyasa, where she can blend all of the training's, she has completed over the years. She strives to create a class that is unique, intelligent, challenging, compassionate, and perhaps most important to her, fun. Madeline's journey continued when she decided to pursue a 200 Hour Power Yoga Teaching Certification summer of 2016. Rooting a whole new world to yoga, her fascination with the practice led her to continue and certify in Yoga Sculpt in 2016 as well. Combining the beauty of both practices with her passion for music, her teaching style is an eclectic mix of powerful inspiration, looking inward and centering the mind as well as lively playlists, encouragement and maintaining safe alignment. 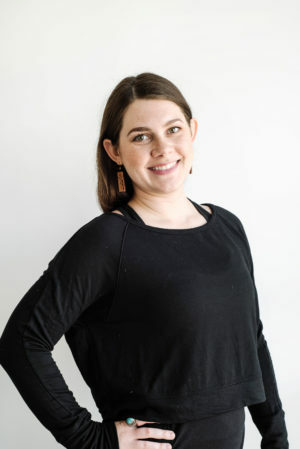 Melding her love for yoga with her background in fashion design, Meraki Yoga offers a space for both where she truly hopes to spread the joys of yoga to her students. Mariel was born and raised in Indiana where she began practicing yoga under the instruction of her younger sister. While initially practicing fast paced flows in heated rooms, Mariel later found solace in slower and more meditative practices. Mariel’s practice has lead her to explore a variety of different styles, inspiring her to travel to India to study hatha and vinyasa yoga. In her free time Mariel enjoys cooking, traveling, camping, and attending live music shows. Her sense of adventure has lead her to explore additional hobbies such as acro yoga, rock climbing, skiing, and backpacking. 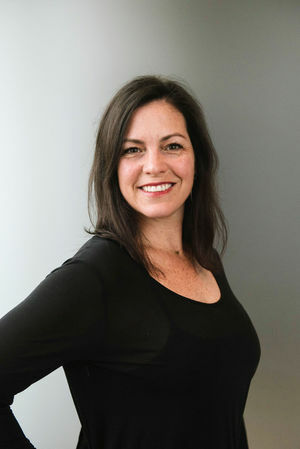 She feels passionately about helping her students cultivate a sense of connection with themselves and with the present moment. In Mariel’s classes, you can expect creative flows, down to earth atmosphere, upbeat tunes, and a supportive teaching style. 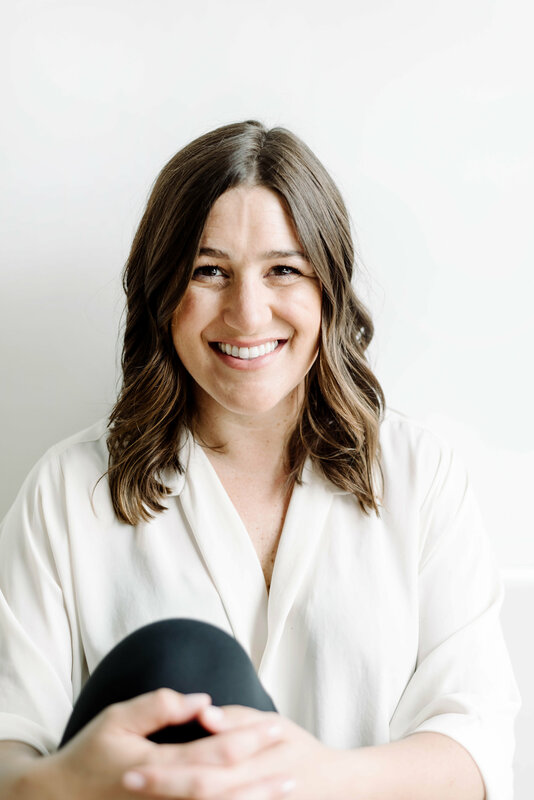 Mariel aims to empower you to be fully present in the moment, creating a sense of connection with breath, body, spirit, and mind. With a background in dance and a degree in Theater Arts, Natalie is very familiar with the concept of “practice”. Just as rehearsing prepares us for a live performance, we practice yoga in order to be prepared for LIFE performance. 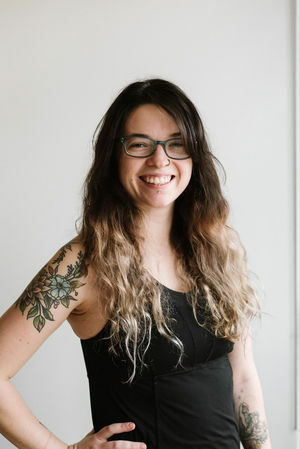 Natalie became a yoga instructor after completing her 200 hour teaching certification at Élan Yoga in 2013 and has since focused her education and teaching toward Yin Yoga, Restorative Yoga and Meditation. Her intention as a teacher is to encourage comfort, knowledge, peace, and a sense of humor while creating an opportunity for students to linger in that which serves them, and let go of what does not. Off the mat, Natalie’s heart belongs to the great outdoors and she feels incredibly grateful to live in beautiful Colorado. Natalie is a calligrapher with a deep appreciation for the methodical movement and the meditative flow required for both creating art and practicing yoga. Sasha took her first yoga class over 20 years ago; however did not truly see the depth and potential of a yoga practice until years later. Her journey got even deeper and gained more meaning during her yoga teacher training in 2010. Her mantra is “balance, balance, balance” and she wants to share her inspiration with her students to find balance in life through yoga. This is the yin-yang of life! She has a lifelong passion for all things active and enjoys sharing both her high energy and calming nature with her students. She considers yoga to be accessible to everyone, regardless of age or flexibility and strongly believes in yoga’s mental, spiritual and physical health benefits. Her teaching style focuses on alignment, synchronization of movement and breath, creative flow, self-acceptance, and having fun. Sasha’s other passions include running, traveling, cooking, dancing, snow skiing, spending time with friends and family, which includes her husband, two constantly-entertaining boys, and their chocolate lab, Nellie. Suzanne started practicing yoga in the late nineties. Immediately she became aware of her hyper mobility and her need to create balance within the body by cultivating strength. In a short period of time she also experienced changes elsewhere and kind awareness was brought to her overall quality of life. She studied and practiced for a decade in Nashville before she was introduced to Ashtanga. In Ashtanga, her relationship with the practice, herself, and life in general was transformed. She would eventually set out to find senior teachers of Ashtanga to deepen her practice and would be lead around the globe. In 2006, she attended a 9-month teacher training in Asheville, North Carolina and then stayed on with the Asheville Yoga Center team for a season so she could assist and work with senior teachers there in Anusara, Ashtanga, and Yin practices. The trainings and learning would just continue from here. Her personal goal is to always be learning and to share what she can if it helps bring us to a place of higher good or inquiry. We all have our own unique architecture and to honor that and learn how we can move in this life more fully is her meditation. She feels that with consistent practice alignment and awareness on the yoga mat will essentially lead to awareness and alignment in our daily life. Tammy began her journey as a yoga teacher 25 years ago and holds an ERYT-500 from Yoga Alliance. Her training includes traditional Hatha, Vinyasa, Prenatal, Kundalini and Restorative/Yin. She teaches classes that build a strong foundation, allowing what you learn on the mat to be taken off the mat as well. Her classes combine the physical practice of yoga with meditation and inspiring affirmations with the intent to strengthen not only the body, but the mind and spirit as well. "I have been blessed to have my knowledge and growth nurtured by many great teachers. I hope to pass on the practice of yoga in its purest form and share with my students the gifts that yoga has given to me. Yoga encourages us to approach our lives with understanding and grace. This is what I have experienced and this is what I teach..."
Torrey first fell in love with the practice of yoga when she was in high school, competing as a hurdler on her high school track & field team. At the time, she was drawn to the deep stretching and change of pace that yoga provided. Now, several years later, Torrey still enjoys those aspects of yoga, however she also craves the deeper dimensions, such as heightened awareness, connectedness, and empowerment. Torrey's desire to empower and uplift children of all abilities led her to become a pediatric adaptive & accessible yoga teacher. In 2018 Torrey attended the Colorado School of Yoga to earn her 200-Hour Yoga Teacher Certification with Gina Caputo, Julia Clarke, and Tracey Garcia. 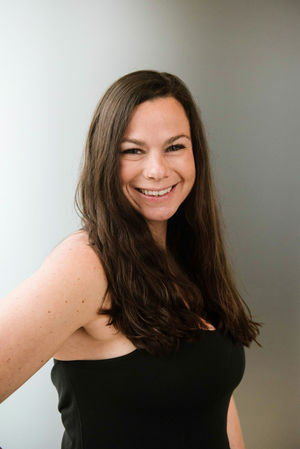 To further serve her students with varying delays and/or disorders Torrey earned her Accessible Yoga Teacher Certification with Jivana Heyman and his organization, Accessible Yoga. Torrey has a very calming presence about her, which is especially evident in her teaching style. At Meraki Yoga, you should expect her classes to be intentional, challenging, and balanced. When Torrey isn't teaching yoga she enjoys hiking in the Northern Colorado area, cruising along the many bike paths in Fort Collins, skiing in the beautiful Rocky Mountains, drinking craft beer, and spending time with her fiance, Noah.